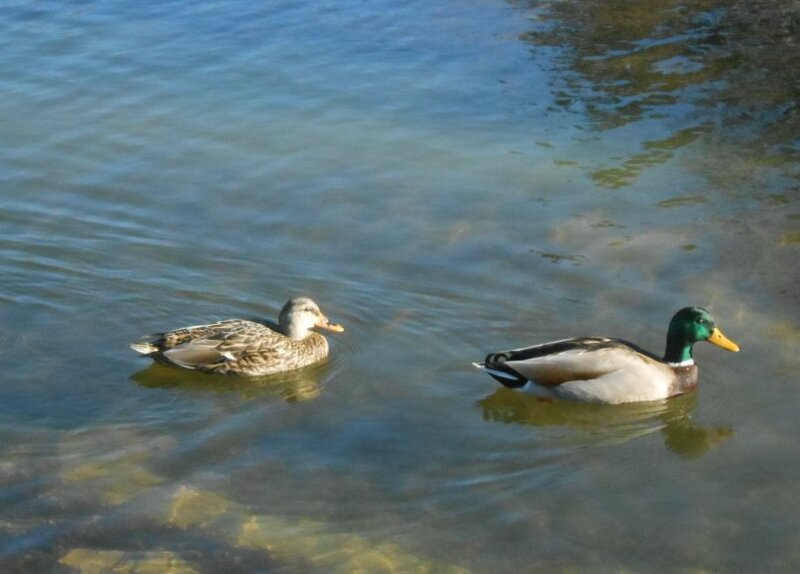 Cape Cod: Winter Vacation Haven for Ducks! 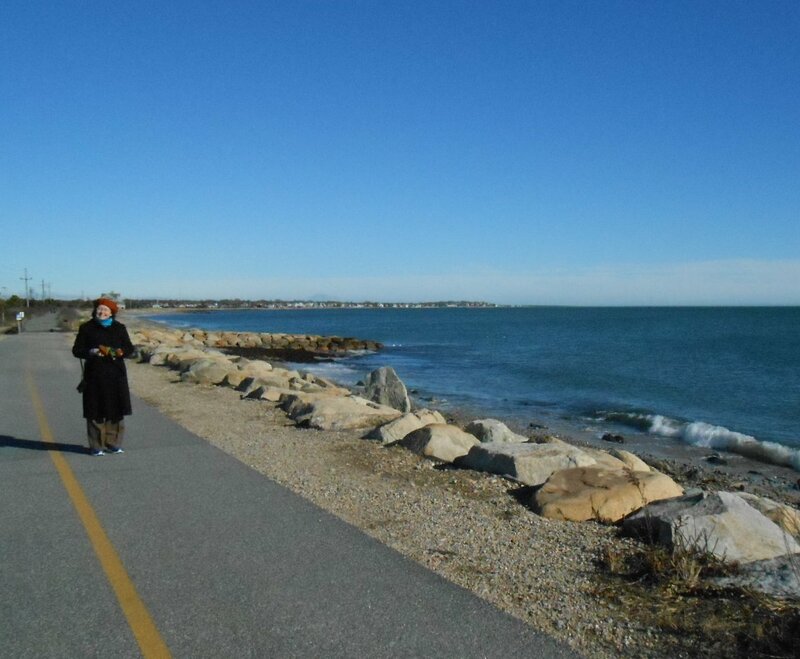 Saturday gave us a brief break in the frigid January temperatures, so we made haste to the Cape for some bird watching along one of the shore rail trails. We’d come here about the same time last year, give a take a couple of weeks, and made some splendid sightings, thanks to the migration habits of ducks. Coming earlier this year proved smart, for we saw even more of some of the beautiful winter vacationing ducks we’d seen last year. Of course the traditional mallards were there. Here is a lovely couple we saw serenely paddling about a marsh pond. 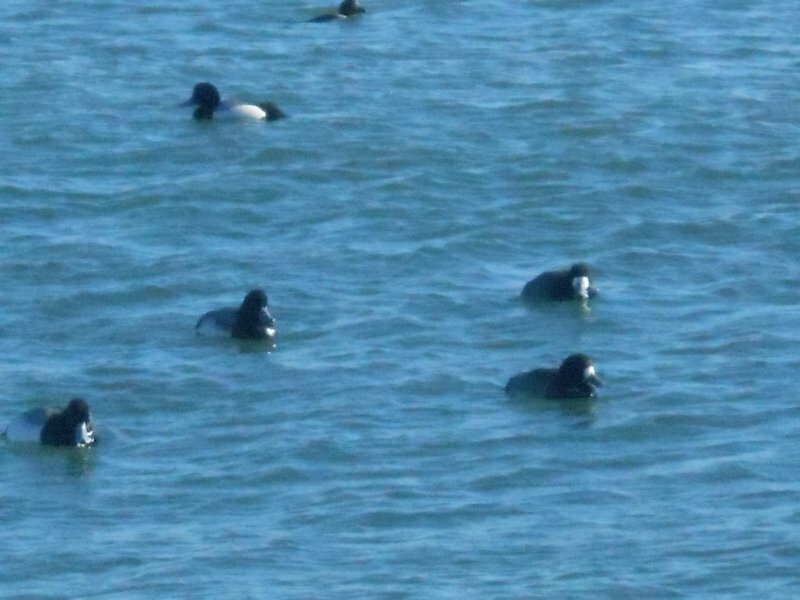 We also sighted some more exotic types: Buffleheads, Common Mergansers, Redbreasted Mergansers, American Black Ducks (and the Mottled subspecies), Wood Ducks, and Swans. Unfortunately, we couldn’t get close enough for pictures of those unique sorts. 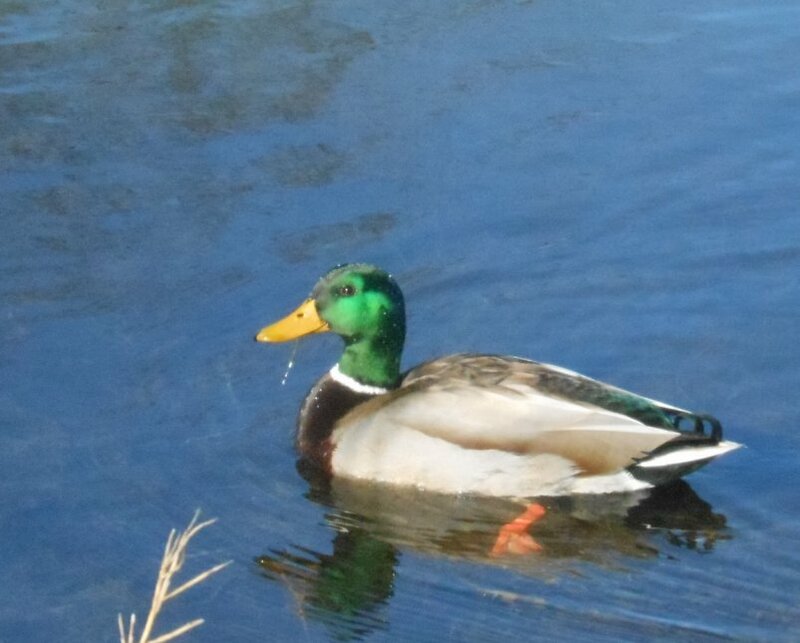 Still, this close up of the male mallard that Yang took captures his (the duck’s) brilliant emerald head feathers. We also got some wonderful pictures of of the rather unique vacationers. 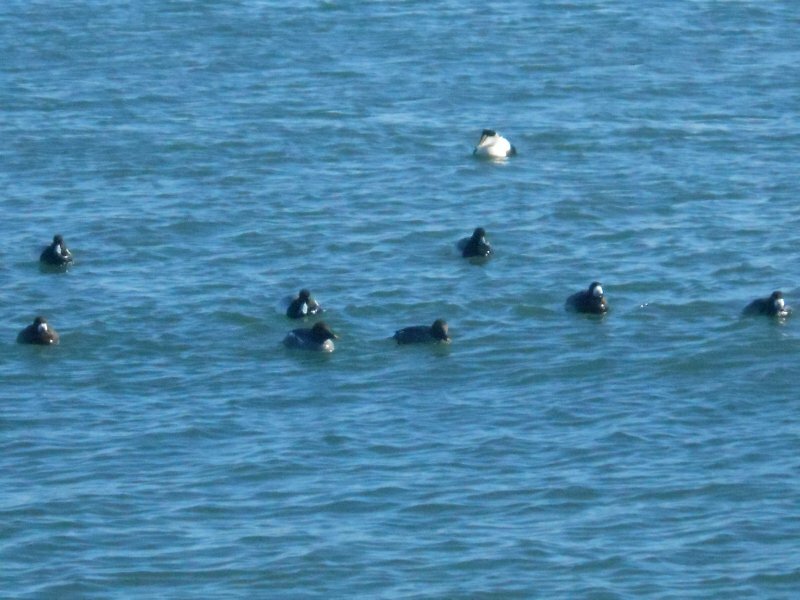 There were loads of Eider Ducks. 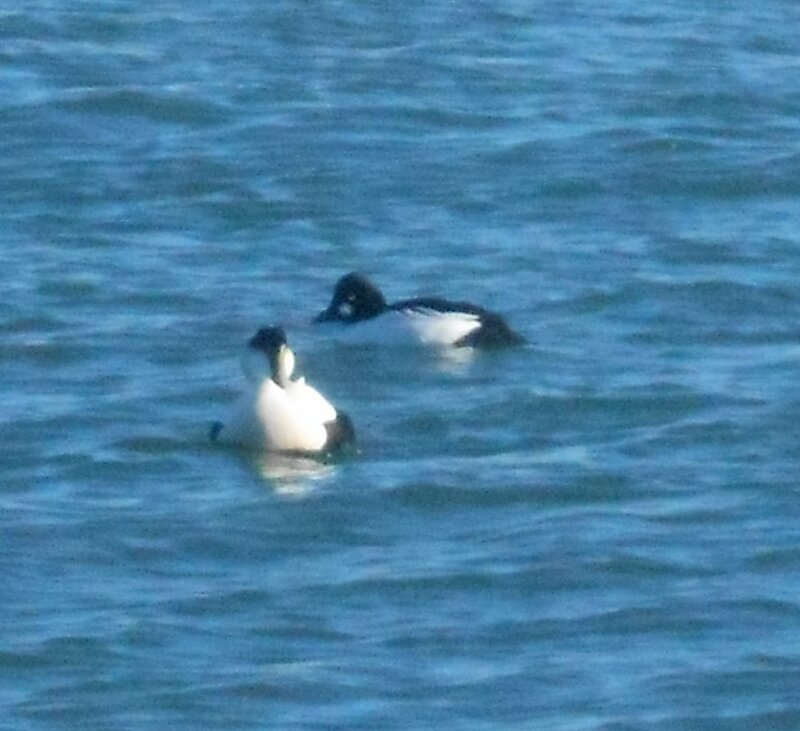 Last year we only got pictures of a pair of Eiders, but this time Yang got several great shots. First, we saw a few males floating near the shore. The contrast of their white and black feathers is gorgeous. Could they be art deco ducks? They certainly didn’t seem terribly camera shy when Yang snapped their pictures. 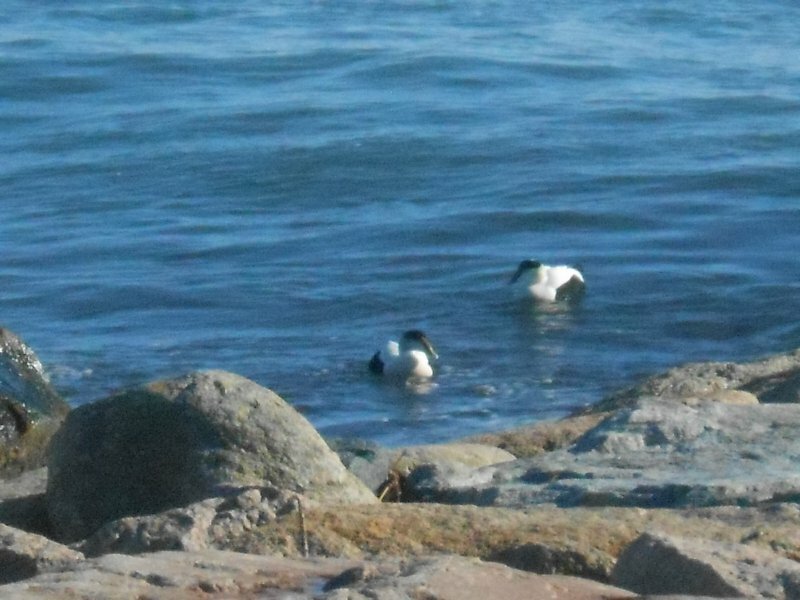 Later, we saw the eiders in a flock of males and females in the water. The females are dark brown with a beautiful white band just above their beaks. It looks like the shadow roll that race horses wear. We had quite a number to see. We also saw large groups of Common Golden Eyes and Great Scaups. What I found especially interesting is that the flocks of two or three different ducks would all be grouped together, floating nonchalantly along, no one fighting for food or ascendancy. I wish people could get along so well. But who knows what the ducks got up to once my back was turned. 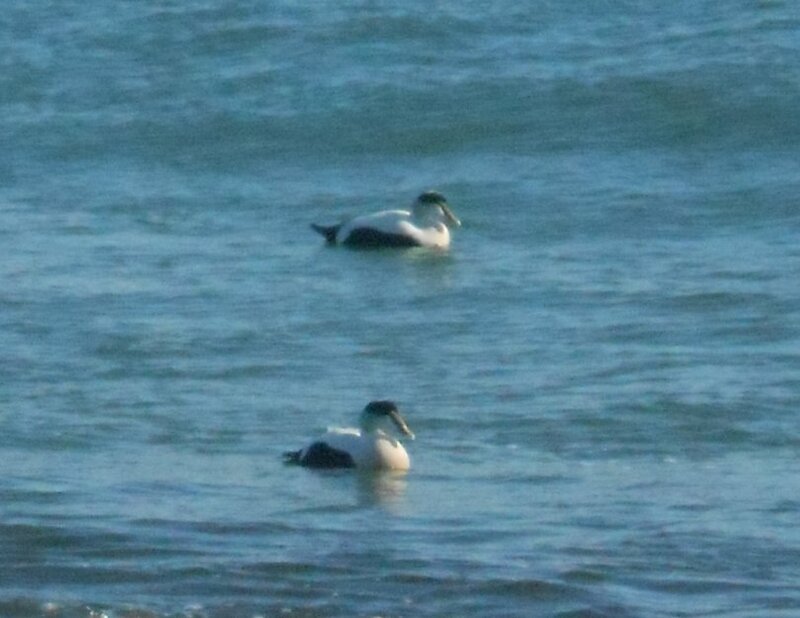 I especially like this picture of the male Eider and the male Common Golden Eye just chillin’ together. After almost two hours of enjoying the fresh sea air and checking out the ducks, we found that the temperature was dropping. So, we hopped in the car and proceeded to the Dunbar Tea Room for lunch – and some great tea! People may love the Cape in the summer, but in the off-season, it can be a bird watcher’s delight!